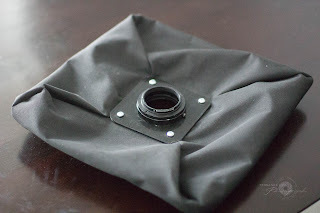 Many of my readers know I'm a tinkerer, and I love to experiment and create new hacks out of all sorts of camera equipment. Today's hack is building my own Petzval Lens.... sorta. I saw in the news that Lomegraphy raised 1 million dollars in Kickstarter to recreate a Petzval lens. 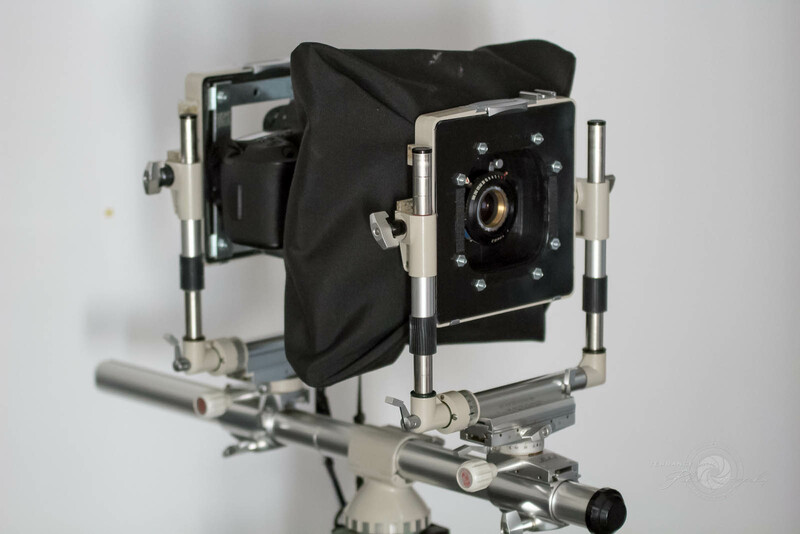 So I decided I'd set out and create my own large format to small format hack. A Petzval lens is simply two doublet lens with an aperture in between the pairs. The appeal of Petzval lenses is the unique swirly bokeh it creates and super sharp central area of focus. 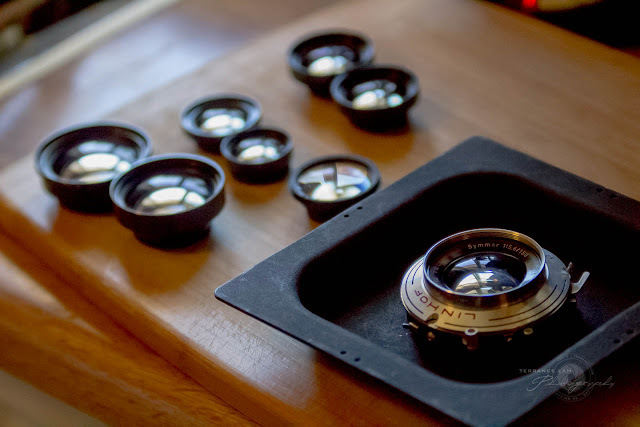 Modern lenses has done away with many of those attributes, but in a day and age of hipsters and instagram effects, the popularity of this style of lens is making a come back. 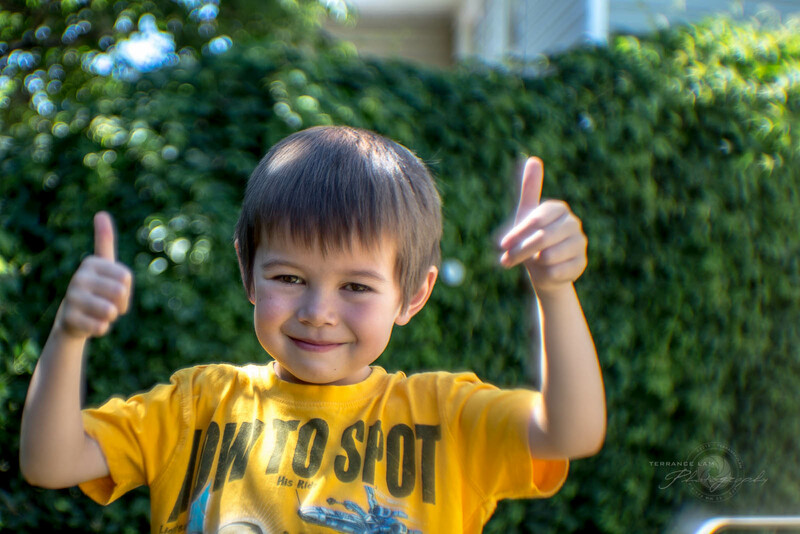 One of my favourite lenses that creates it's own swirly bokeh is the Nikkor 50mm F/1.2. Unlike the original Petzval that was intended for large format, the Nikkor creates the same effect on a 135 format camera. The downside to the swirly bokeh is certainly coma and soft edges (coma especially is exhibited on the Nikkor 50mm F/1.2). Special effects lenses like the Lensbaby creates similar effects in a small package that works on the 135 format cameras but becomes way too soft at the edges to be much use than a very specific effect. How Lomography reengineered a large format lens to fit on the smaller format is obviously a mystery, or maybe not. My approach to a similar hack is likely on the same theories. Last year I decided to build a large format to digital rig as seen in figure 1. This is built from a Linhof Karden large format camera. Much of the camera bellows and plates are replaced and only the movement controls were kept. 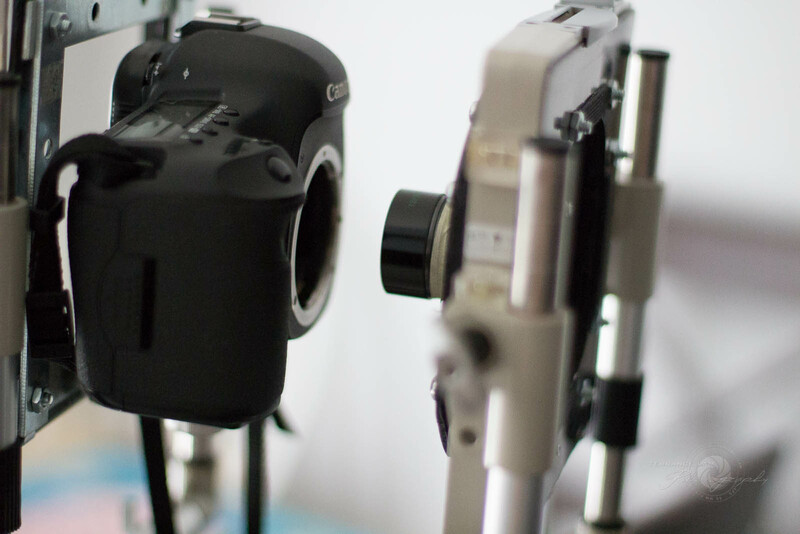 This set up allowed me to use anything from medium format lens to large format lenses on my 5Dmk3. A great set-up for tilt and shift photography. The original bag bellows had to be replaced (figure 2.) with one I sewed together with some special flexible none light leaking material. I created the mounts from HDPE plastic which I cut and formed, and added the hardware for the EOS mount from several old unused adapters and macro tube parts. On the reverse side, I added a new mounting plate to go directly into the standards on the Linhof Karden. I also needed to make a new plate to go into the rear standard (figure 3.). Composed of several steel and plastic parts with a manfrotto mounting plate to sit the camera on it. It made it easy to put it in and out of the mount. I considered just replacing the standard all together, but I couldn't bring myself to butchering my large format Linhof to do that. It was just as simple to add the plate into the rear standard for use whenever I wanted to use my digital camera with my large format set-up. Together it made for a nice set up. 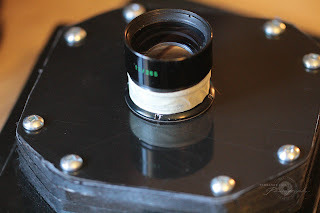 I also made my own lens boards as you can see in this image, also from HDPE plastic and screws (and yes, it's light tight). There are a few other photographers out there that have done this hack. I'm not the first to do this, but I have been tinkering a lot with this set up and doing all sorts of experiments, including imaging the entire large format lens, but that requires a different set-up all together. With recent inovations like the MetaBones Speedbooster, I recognized they used nothing really new to create the amazing ability of fitting the field of view of 135 format to the smaller APS-C formats. The device is merely a focal reducer that in essence shrinks the image circle to a smaller format. 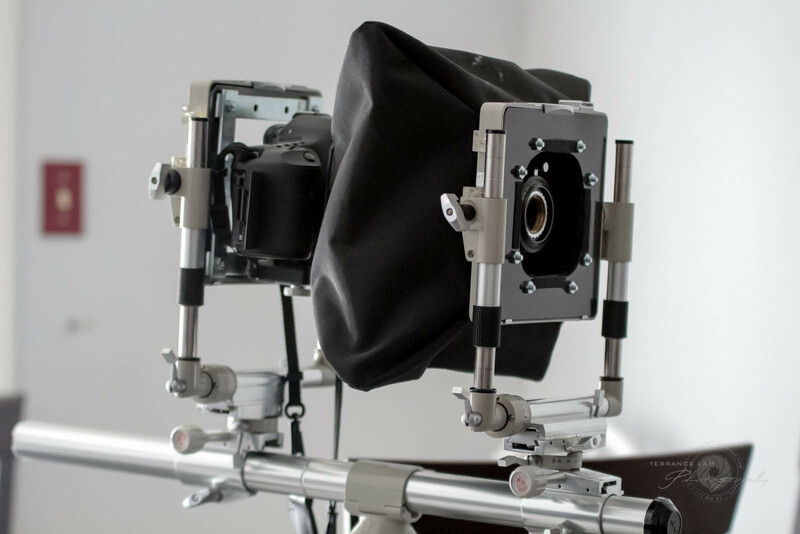 In the large format world, there are some lenses that also serve dual purposes. When they are paired in front and back, they are one focal length and take away one of the elements and it becomes another. In these pairs, one of the elements acts like a focal reducer. Now lets be clear, I'm not a lens or optical engineer. I know enough to be dangerous, but lets to be honest. They are just lenses and the worst I can produce is something that looks like crap. Because I have a small collection of large format lenses, I was able to go through the various lens pairs and experiment with multiple combinations. Lens pairs in my large format lens colllection. 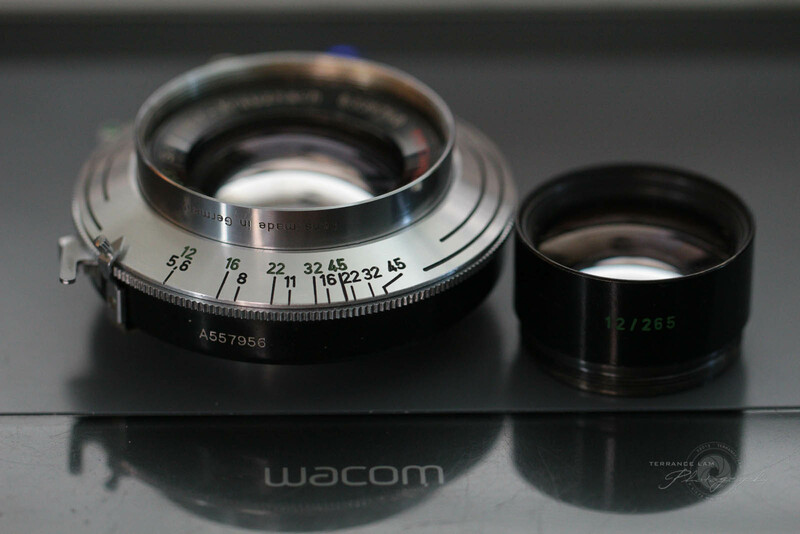 My collection also includes some medium format lenses that I butchered. One of the nice combinations I had came from a defective 75mm Bronica lens. As so it happens as I took it apart, it sat in a threaded Compur shutter making it perfectly fine for putting into my independent Compur shutter mounts. The best lens designs use masking tape right? After various combinations and experiments, I came up with the conclusion that one of the best combinations to put together would be the rear element of the Bronica lens and pair it up with the rear element of the Symmar lens. How I tested each combination was using my studio office as a camera obscura. I aimed each lens towards my window, and projected the image onto a white piece of paper. I tried all the combinations until I found one that created a focally reduced image circle (a circle that would only just cover the frame of a smaller format camera). I took several reference photos, then used a zoom lens to match the same field of view to try and determine what focal length I created. To my surprise, I had something between 70-85mm field of view. I'm too lazy to try and attempt to do math to be certain, but felt that this was close enough. I have no idea what the depth of field equivalent is and I forget to measure the T-stop to see what I was getting, but what resulted was a very easy to use medium/large format 85mm Petzval like lens with full movements on my 5Dmk3. The resulting images were surprising. I got great clarity in the centre, and even out to the edges. If I stopped it down, was very sharp across the frame. But wide open it gave me that signature swirly bokeh that Petzval lenses are known for and just enough softness at the edges for that dreamy buttery effect. Of course this hack (or kludge as my friend Alex calls it) isn't necessarily something that everyone can go out and make. I did make many of these things in the past at a small expense and my personal time. 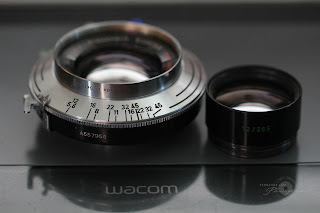 Today I was just playing with lens combinations to see if I could shrink down that 4x5 image to fit onto a 135 format. My son reflects pretty much how I felt about this experiment.